The fun thing about slow shutter speeds is that it documents movement very well. With a really long shutter speed you should be able to see which movements took longer than others. I tried this in a glass elevator at our metro station at night. You can see the lights of the cars on the first floor, which is the exit to the street and the tiles of the entry to the metro line on the ground floor. The vertical lines show the movements of going up. These lines are a bit vaguer than the images of the first and ground floor, so obviously the elevator needed some starting up and slowing down time. 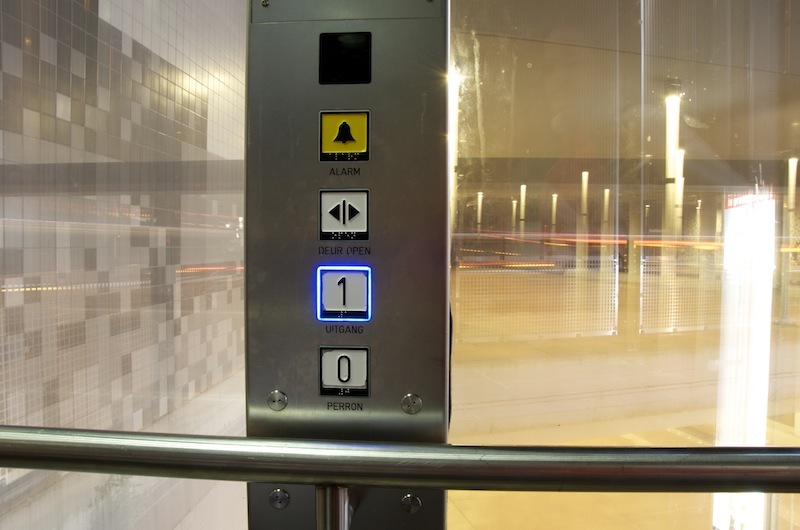 If I were a mathematician, I would be able to calculate the speed of the elevator, simply by knowing the shutter speed and then measuring the intensity of the blurness of the images. But in this case I'll stick to photography and simply enjoy the fact that an entire 15 second move can be reflected in a single image!